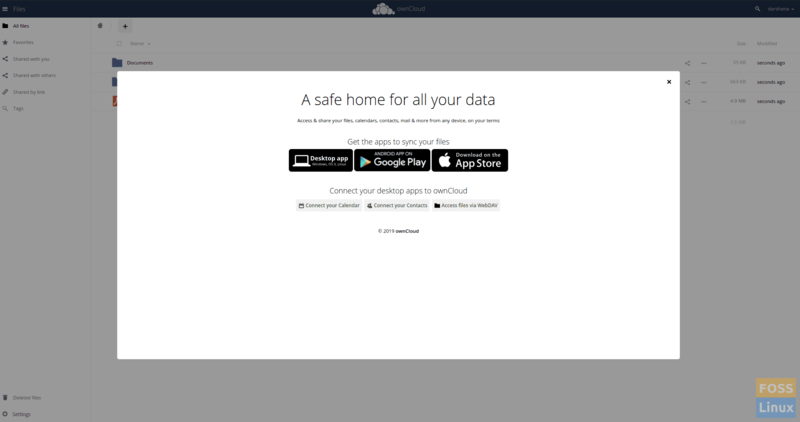 With ownCloud, you can create your own private server and access the data anywhere you want. 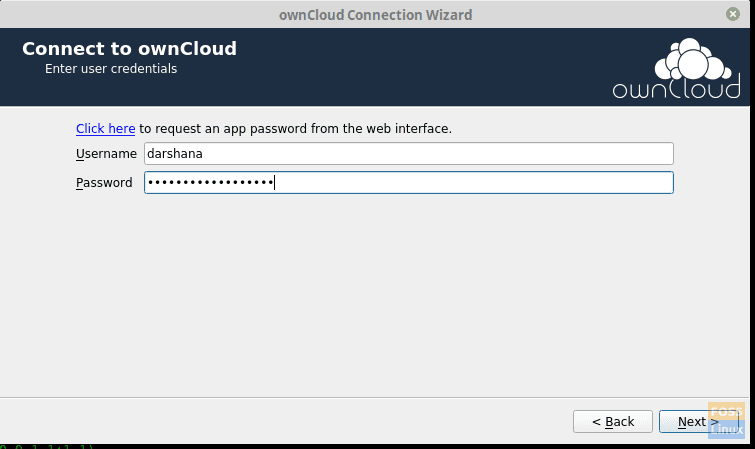 ownCloud is an open-source file sharing server and collaboration platform. It allows controlling data on users’ servers and environments. Once configured, ownCloud provides easy access to all your data – whenever you want, wherever you want. ownCloud is free to download and install on your private servers without paying to service providers. 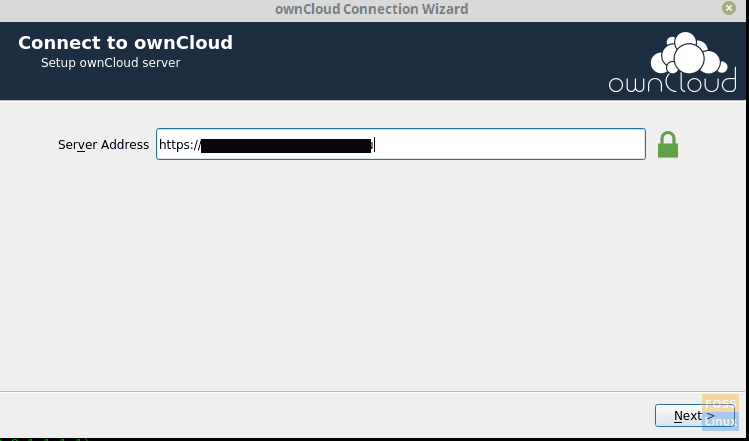 In this article, we will help you install and configure ownCloud on your Ubuntu machine. This tutorial is thoroughly tested on Ubuntu 18.04 LTS. Before setting up Owncloud, you need to install Apache, PHP, and MySQL. If you see the service has not started, you can start it manually using the following command. Enable Apache On system boot. Allow Apache ports from the Ubuntu Firewall. Reload firewall and check the Firewall status. To check the Apache installation running status, launch the browser using hostname or server IP address. 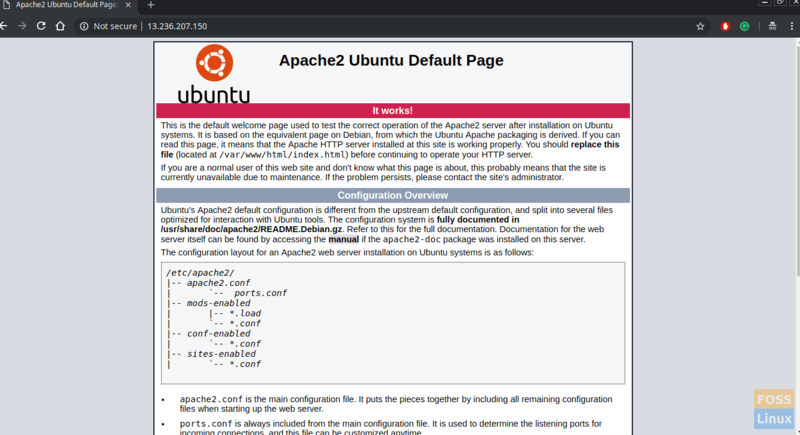 If you see the Apache default page, it means everything went well. Let’s start with checking for available MySQL version. You should see a prompt if you want to configure the VALIDATE PASSWORD PLUGIN. Type “Y” to yes and hit Enter to continue. Go ahead and provide a password for MySQL root user. It should ask “Do you wish to continue with the password provided?”. Type “Y” and hit Enter. You should see a series of questions — type “Y” for each one of them. By now you should have installed MySQL and also securely configured it. You can access MySQL server using the root login and password. We should first check for available PHP versions and then install it. You can add the repository key to apt. 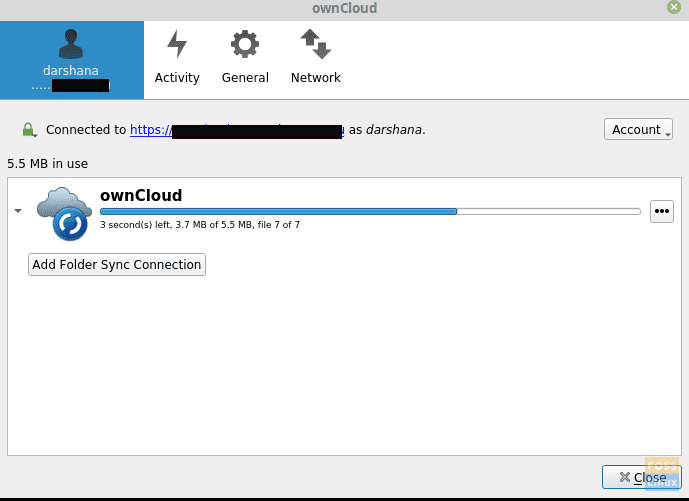 Generally, the ownCloud package we installed copies the web files to “/var/www/owncloud” on the server. Now we shall create a virtual host for ownCloud. Create a folder for SSL certificates. Create a virtual host file. Add the following lines to file. Replace ServerName with fosslinuxowncloud with whatever you want. You can give whatever name to your SSL certificate files. Check the syntax of the configuration file. If you get a “Syntax OK” message, use this command line to disable the default, virtual host. The following commands should enable new virtual hosts. Restart Apache to activate changes. Access MySQL using the root account. Create a database, and name it as you want. Create a DB user and grant privileges. Open a web browser and navigate to the following address to access the ownCloud web interface. Create an admin account by choosing a username and a password. No need to modify Data Folder. Fill out the details of the database name, database username, and database password. Here we installed the database in the same server, so we leave the database host as “localhost”. Click the “Finish setup” button to finish configuring. Now it should redirect to login page. You can provide given username and password to access the dashboard. You can use a desktop or mobile client to sync your data to your ownCloud. Download OwnCloud client from here. Run following commands to add the repository. We should run commands as root user. sh -c "echo 'deb http://download.opensuse.org/repositories/isv:/ownCloud:/desktop/Ubuntu_18.04/ /' > /etc/apt/sources.list.d/isv:ownCloud:desktop.list"
After installation is complete, open ownCloud desktop Sync client, add your Domain name and click next. Then you should get User credentials window where you should provide your username and password. Then you can select the local folder and configure sync settings. After you click connect, it should sync data with the server. 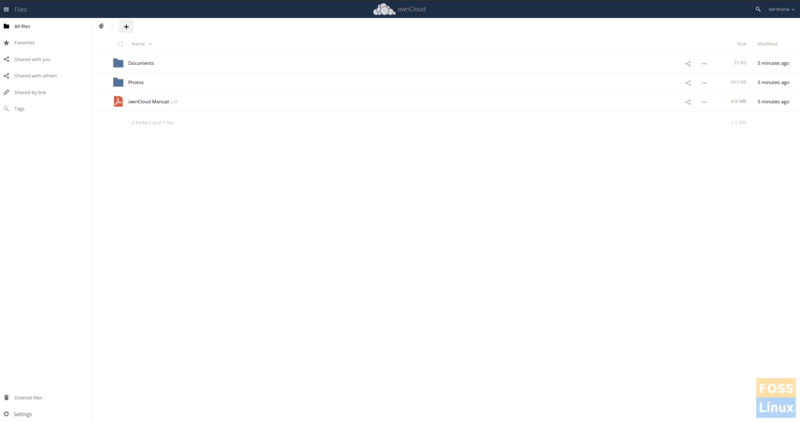 You can add your files to the ownCloud local folder. For example, I have added an image to the folder. Then it should sync to the server. Now you can go to the server and check the data. You can see the added image on the server. If you have come this far, you successfully installed and configured the ownCloud server and also synced files with its desktop client. How did your installation go? Let us know your feedback in the comments below, and don’t forget to share this article with your friends and colleagues who may find it useful. Steam is a video gaming platform developed by Valve Corporation. Steam has several games on its servers and you need to install the Steam client on your PC to access them. You can install games on your computer using the steam application and play them whenever you need.